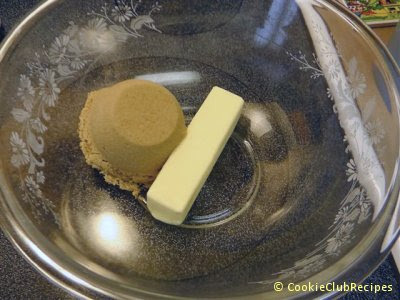 By hand or with electric mixer on medium speed, combine brown sugar and softened butter until fluffy. Add corn syrup, vanilla, and salt. Stir in oats. 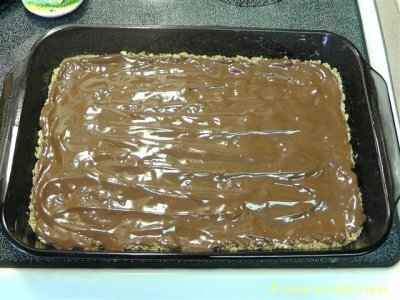 Spread evenly in greased 9x13x2 inch baking pan. Bake at 350 degrees for 15 minutes. 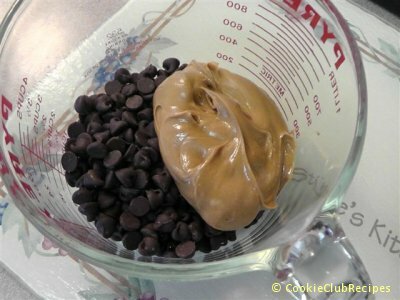 Melt peanut butter and chocolate chips over low heat, stirring constantly. 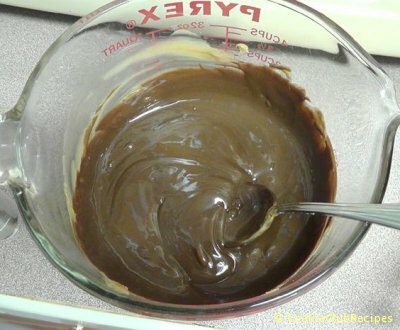 Editor's Note: We melted the peanut butter and chocolate chips in the microwave, on high for 45 seconds, stirring every 15 seconds. 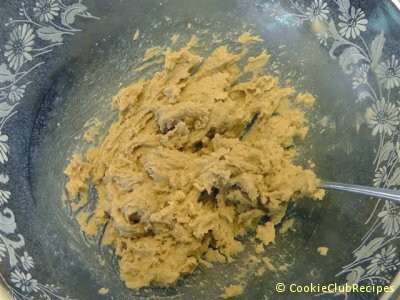 Spread over baked cookie layer while still warm. 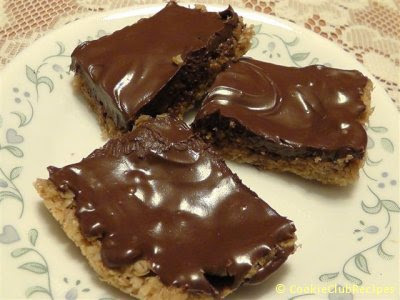 Cut into bars, when cool. Makes 2 dozen bars.